With true reflection of Dr Martens styling, this unisex 8053 5-eyelet shoe combines grained Harvest leather uppers with a padded collar in to create the recognisable Doc's 8053 profile. 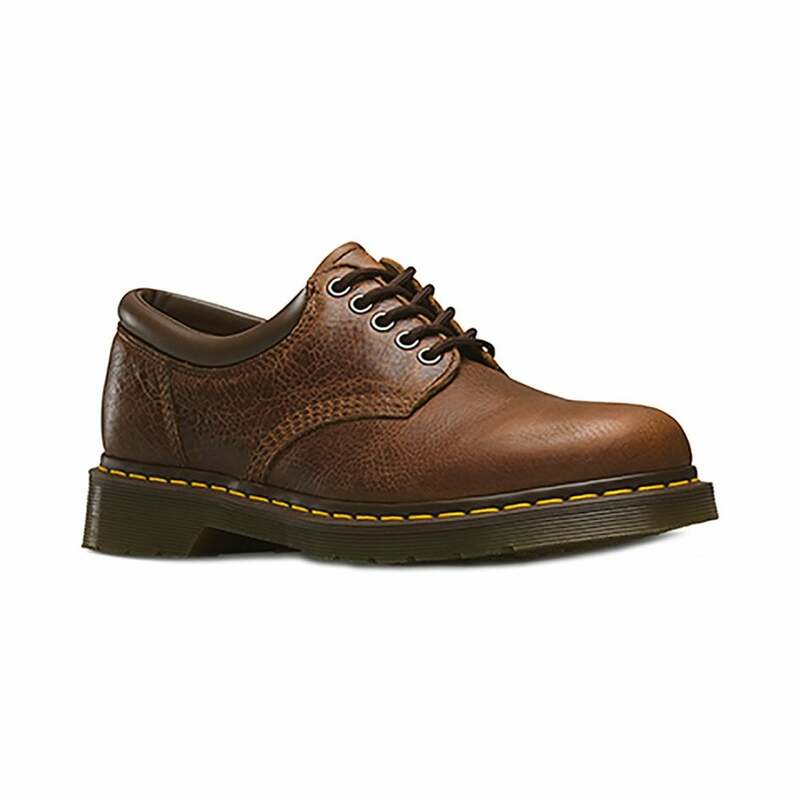 This mens and womens 8053 is like no other shoe around; showing its Dr Martens heritage this unique 5-tie ring eyelet shoe has grooved edges and visible stitching to its cleated, air-cushioned sole with resistance to fats, oils and petrol. A perfect shoe for anyone who wants style and quality - get your pair now!